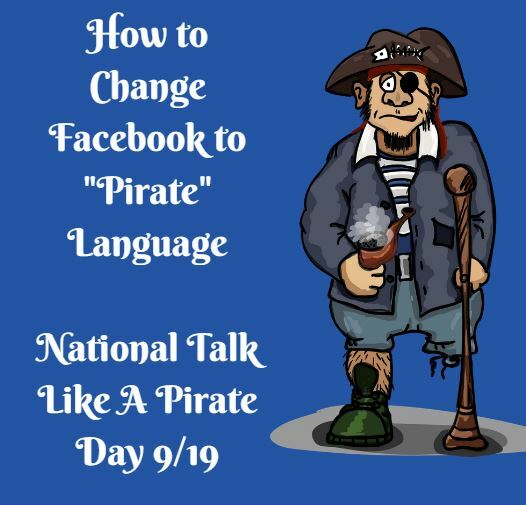 Do you want to change your Facebook language to PIRATE for “Talk Like A Pirate Day”? Click the “+” box that looks like what is in the highlighted circle above. A box will pop up with a list of languages. 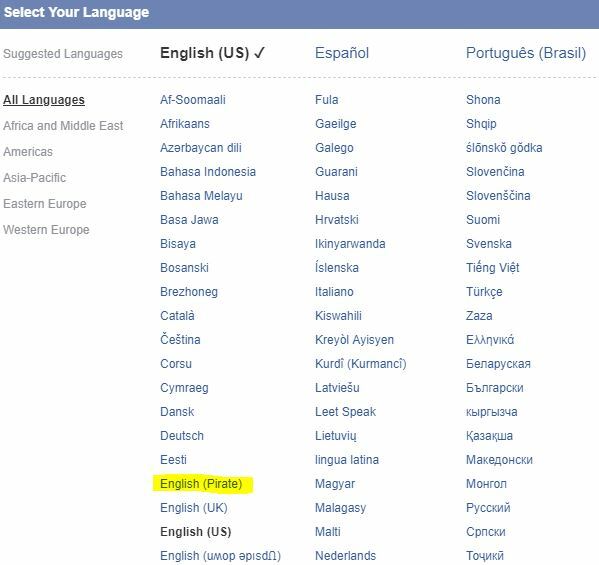 Look for “English (Pirate)” and click it. That’s all there is too it! Now you can fancy your matey’s scrawlin’s, hoist yer flags and check out what another cap’n was doing about two turns o’ the hourglass ago. Arrr!